Adventure and imagination: If you can imagine it, you can build it in the Mumbo's Motors easy-to-use workshop. Then put your creation to the test as you take on Grunty in your quest for Spiral Mountain. 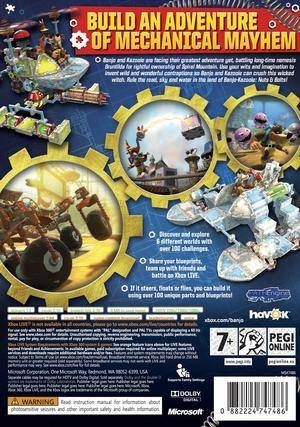 Unlike other games, where you progressively pick up new skills or abilities at points pre-determined by the game’s creator, Banjo-Kazooie: Nuts & Bolts puts the power of improving Banjo's abilities into your hands as you build vehicles that allow Banjo to progress through the game. Vehicle parts include a wide variety of body panels, engines, wheels, wings, propellers, fuel, and weapons, plus many more weird and wonderful gadgets such as floaters, Mumbo Bombos, and the versatile sticky ball, from which you can design and create anything from a simple object-carrying truck to a space-age flying saucer. Once you've designed your creation, give it the finishing touch by painting it and choosing a suitable name before Banjo jumps in and pilots it into action. 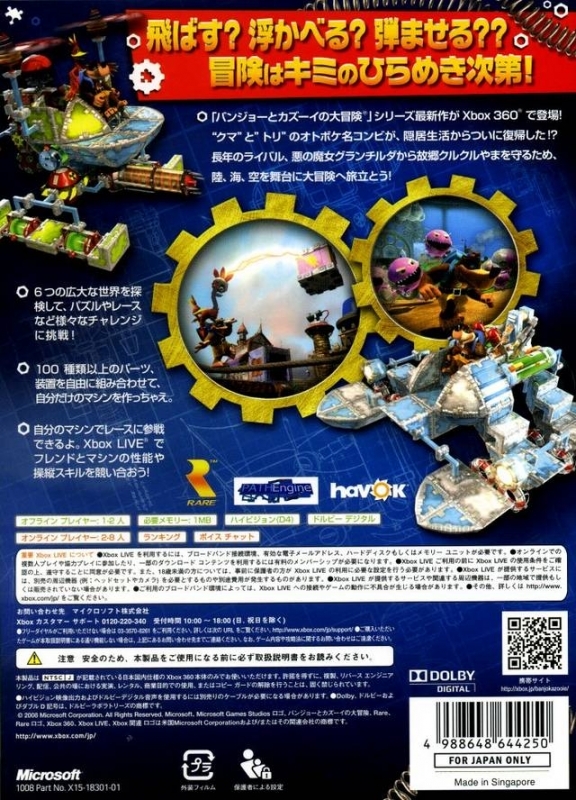 Customizable experience: With more than 100 contraption parts and unlimited combinations possible, no two players will have the same experience in Banjo-Kazooie: Nuts & Bolts. 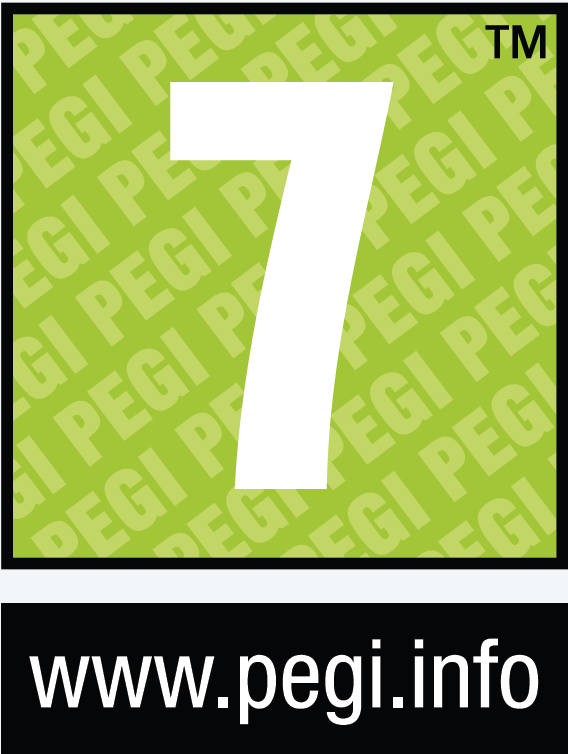 By exploring the vast game worlds, discovering hidden secrets, and solving puzzles to win rewards, you will continually find more and more ways to customize and improve your contraptions, creating an unprecedented level of user-generated content for a 3-D platform adventure game. 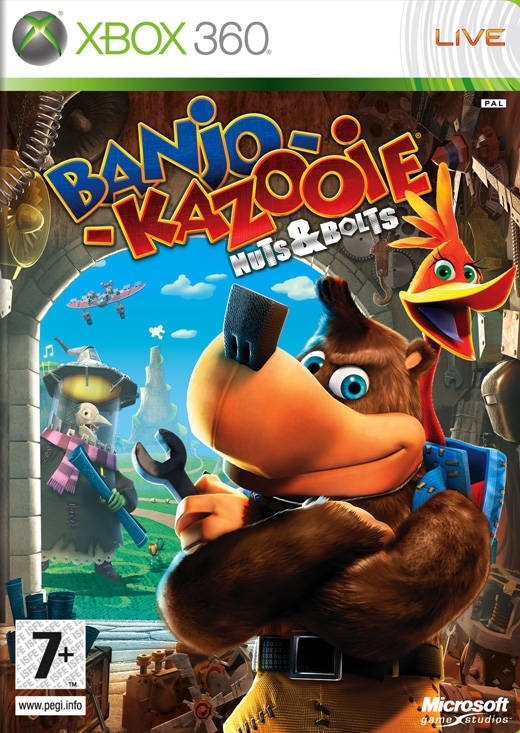 Fun right out of the box: Don't worry if you aren’t the world’s greatest inventor or want to skip the workshop and get straight to the action, because Banjo-Kazooie: Nuts & Bolts comes with a fully loaded experience right out of the box. Pre-built vehicles are included so you can jump right in and get started, with many more contraptions available for purchase throughout the adventure using the in-game currency system of musical notes. Engaging storyline and entertaining characters: Two of Rare's most beloved characters return from retirement, making their debut on Xbox 360. To win the deed to their homeland and prevent the evil witch Gruntilda from developing it into tower blocks and malls, Banjo and his best friend Kazooie battle over land, sea, and air against their longtime rival. Familiar faces such as Mumbo Jumbo, Bottles, Captain Blubber, and the Jinjos are also back to lend a hand, along with an equally colorful cast of new friends and foes. Look out for Trophy Thomas, Piddles, Lord of the Games, and Grunty's mechanically menacing army of Gruntbots. 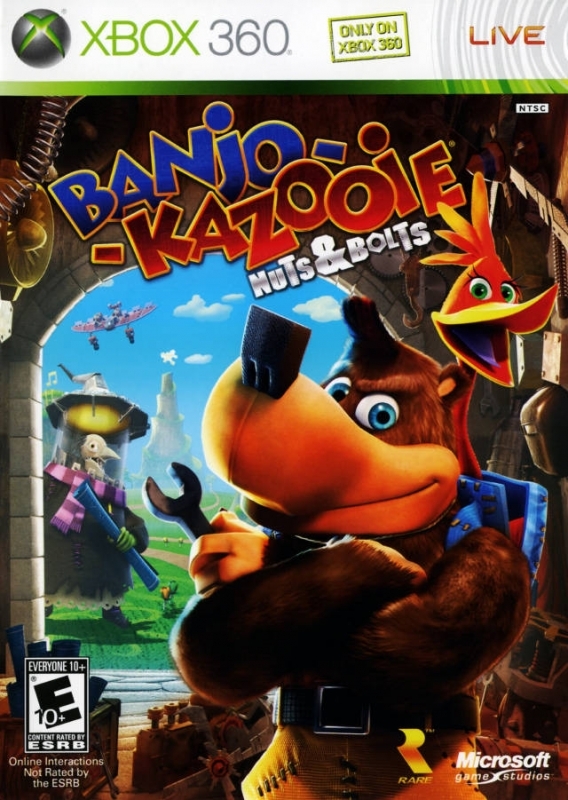 Enjoy alone or with friends: Banjo-Kazooie: Nuts and Bolts offers complete single-player and multiplayer experiences. Play through the adventure alone in the single-player campaign, or play with friends in competitive or cooperative challenges on your own or in teams. 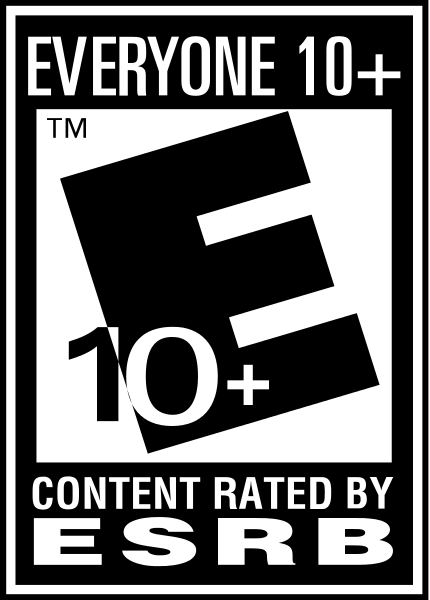 Fun for everyone: Xbox 360 is the home to the best entertainment experiences for everyone. 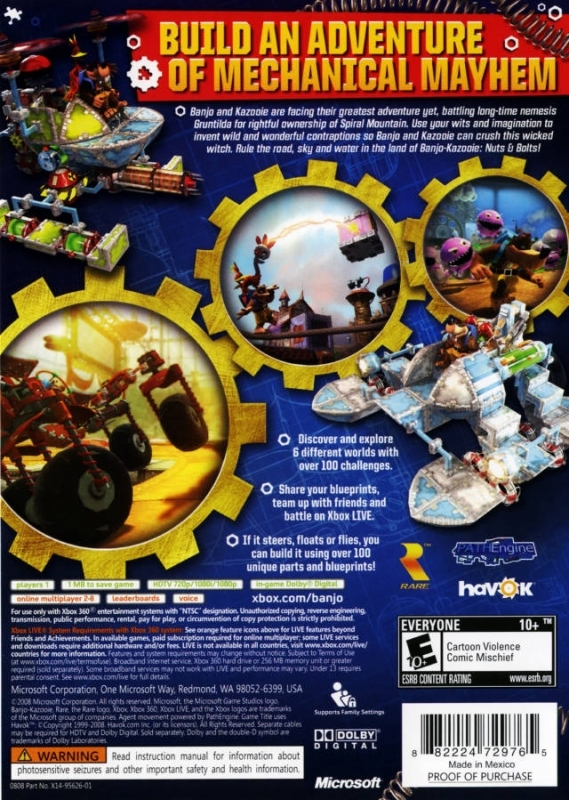 With Banjo-Kazooie: Nuts & Bolts, Xbox 360 continues to build its impressive lineup of content that appeals to people of all ages and types. Is this game undertracked? It completely stopped selling after 2009. 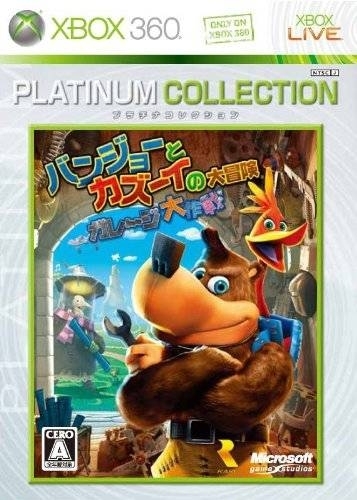 Even if it wasn't the type of game people wanted out of the Banjo-Kazooie series it's still a big name game, like how could it have sold that badly after 2009? Incredibly underrated game in my opinion. I just adored this game so much for it's huge environments and creativity. It's a shame that this is probably the final nail in the core game releases for Rare. 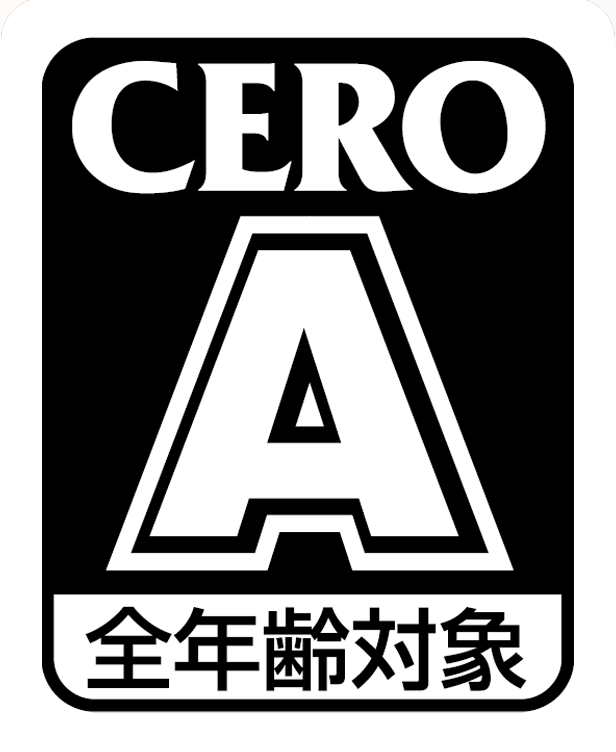 Besides Perfect Dark Zero, I thought all their games were amazing and they should've released more but instead got refocused because of bad sales. @yo_john117 couldn't agree more. I was full of excitement when I saw the teaser trailer for the third one. Then...yeah turned into something I wasn't expecting. 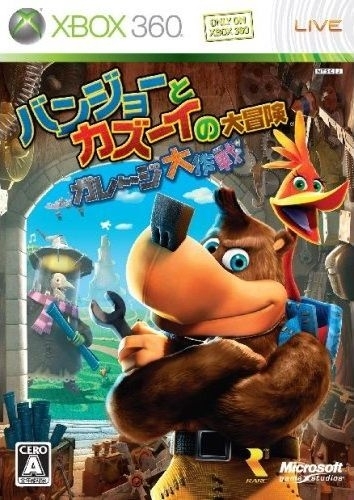 Good game but I want the true sequel to Banjo-Tooie. An interesting game, not bad. I don't think they're including the bundle sales though. At one point it had mass bundling with Viva Pinata. I kind of wish they would have made this into a normal Banjo Kazooie game.